The works are disseminated on the internet, where they receive a passionate response for, among other things, their unquestionable musical quality. (Goldoni, Lessing, Klopstock). But now Turovsky-Savchuk adds two more tombeaux, this time conceived for the viola and dedicated to Telemann and Forqueray. wailing ceaselessly before the tomb of his artist father. Are these pages useful to you? Make a donation! See also: Tombeaux for Viola da Gamba. 43. "TOMBEAU SUR LA MORT DE BOLESLAW LESMIAN"
42. "TOMBEAU SUR LA MORT DE VALERIAN LUKASINSKI "
41. "TOMBEAU SUR LA MORT DE PETRO KALNYSHEVSKY "
39. 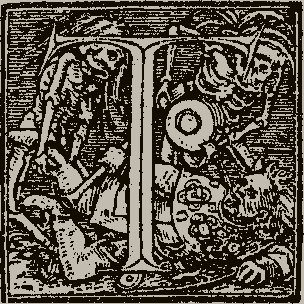 "TOMBEAU SUR LA MORT DE MR. MAZEPA "
in honor of F.G.Klopstock, by Gotthold Ephraim Sautscheck. 6. A rather unusual kind of "tombeau"
in honor of J.J.Froberger, by Georg Anton Sautscheck, 1717, in commemoration of the 50th anniversary of J.J.Froberger's death (Premiered by Roman Turovsky). entitled "Empfindungen über P.E.Bachs Tod" by Joachim Peter Sautscheck, written in 1788 in commemoration of the 10th anniversary of the death of Carl Phillip Emmanuel Bach (in two versions). entitled "Sautschecks Empfindungen über die Empfindsamkeitsdammerung" by Gotthold Ephraim Sautscheck, written in 1798 in commemoration of the 10th anniversary of the death of Carl Phillip Emmanuel Bach (in two versions). for Johann Joachim Sautscheck by Joachim Peter, SWV 1, in mature Classical style (Premiered by Thomas Schall).